NEW SNEAKS. – Hello? I Forgot My Mantra. Published on April 8, 2014 by i forgot my mantra. 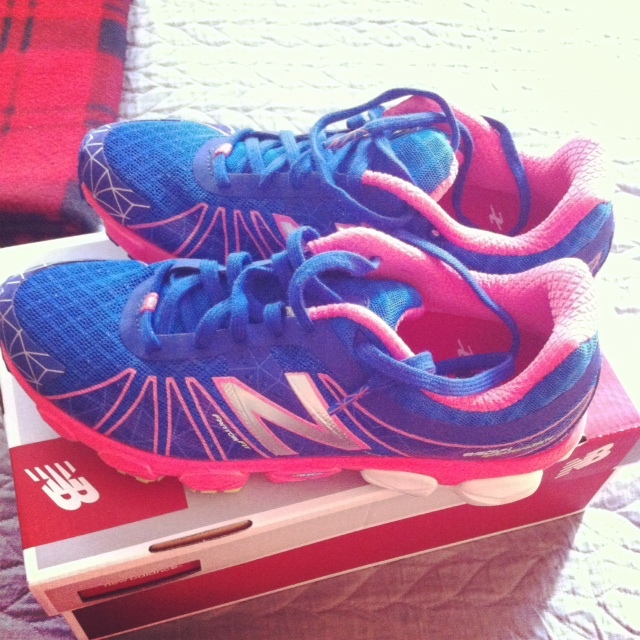 After my 10K this weekend, I decided it was time for new sneakers. So, this morning, I trotted off to the highly recommended Jack Rabbit store down the street. And oh my the sneaker section! I just don’t understand sneaker fashion. They’re all so bright and neon. Anyway, I had to RUN ON A TREADMILL so the salesperson could talk to me about my stride and make sure I got my sneakers properly fitted. Turns out, I have a normal average stride. Woo hoo! And then she brought out a variety of sneakers for me to try on–one pair was teal and purple and bright white. My favorite color combo from 1st grade. I eventually settled on the pair below. They have a slight Spiderman thing going. And I just realized are pink and blue–Delta Gamma colors. Oy. Categories I can't wait to try them out! Spidey Shoes in DG colors–I sense real excitement here. For the record, I picked them based on fit. There were no color options. I think they’re trés cool.